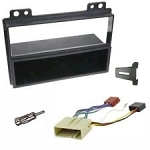 Single Din Radio Replacement Kit allows the fitment of a Single DIN aftermarket headunit to the selected vehicle. 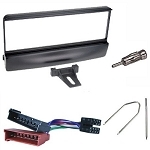 The kit includes double din fascia, ISO Wiring Harness, and aerial connections. 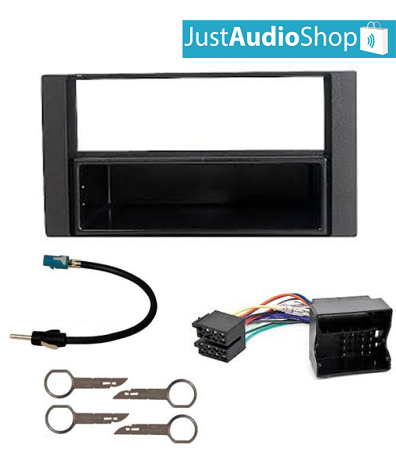 This adaptor will convert the non din-sized aperture left after removing the factory stereo to a double din size ready for head unit installation. The high quality finish, colour and texture are designed specifically to maintain the original look of your vehicles interior.